Joanna made her directorial debut with the recently premiered documentary A Fine Line. The film explores why only 6% of head chefs and restaurant owners are women, hearing perspectives from world-renowned chefs. Opening a national discussion on gender equality and career advancement by following the personal story of a single mother, small-town restaurateur on a mission to do what she loves while raising two kids and mightily high odds stacked against her. Joanna developed an impact campaign around the film to increase women in leadership by following a MAPP. Based on years of research, interviews, data and personal experience, this program aims to make a cultural shift as to value women's professional contributions through Mentorship, Affordable and Accessible Childcare, Paid Parental Leave Advocacy and the Power to Live your Truth and Give Back. Women shouldn't have to choose between doing what they love or who they love, and this MAPP helps women achieve personal and professional fulfillment. Zoel Productions currently has a docuseries in development chronicling women across different industries making a local impact with a global influence. Prior to filmmaking Joanna was awarded best environmental reporting from the New England Press Association for an investigative piece she wrote. She interned for The Boston Globe and was later chosen to cover the 2004 Summer Olympic Games in Athens for a Greek American Newspaper. 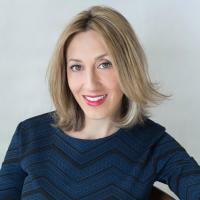 As a creative entrepreneur, Joanna holds a patent having invented an exercise product line that went to market to help those in longterm care and the mentally ill. Having gone from reporter to filmmaker, inventor to women's rights organizer, now as a wife and mother Joanna has found her calling. "There is no greater love that I have than that for my family, but I will not be coerced into sitting on the sidelines because society hasn't figured out how to value women's professional contributions. I'm living my truth, and I want to help more women do the same."